With the Rolex 24 Hours in the books, it’s time to shift your focus to the Bathurst 12 Hour, the final international enduro of the annual January/February ‘Trifecta’. 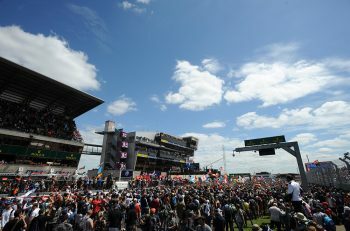 So, as DSC jets off to Australia, (and to Malaysia to cover the Asian Le Mans Series finale at Sepang!) 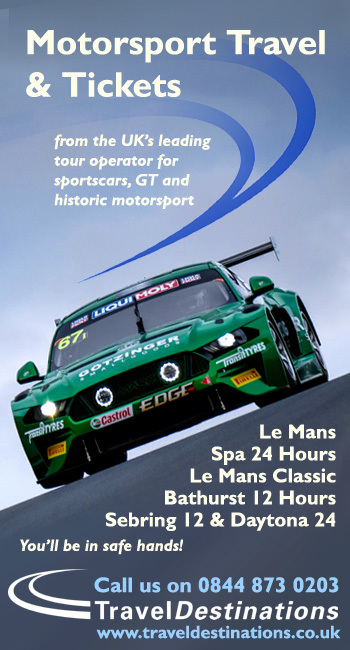 here’s a look at the Bathurst 12 Hour field, which this year is a disappointing (not really!) 53 cars strong. This should tide you over until the DSC editor and deputy editor’s chronic fatigue and jet-lag passes, and they muster up the strength hit their respective paddocks. First up, Classes B, C and I, covering the cars in the entry that don’t fall in the GT3 category. 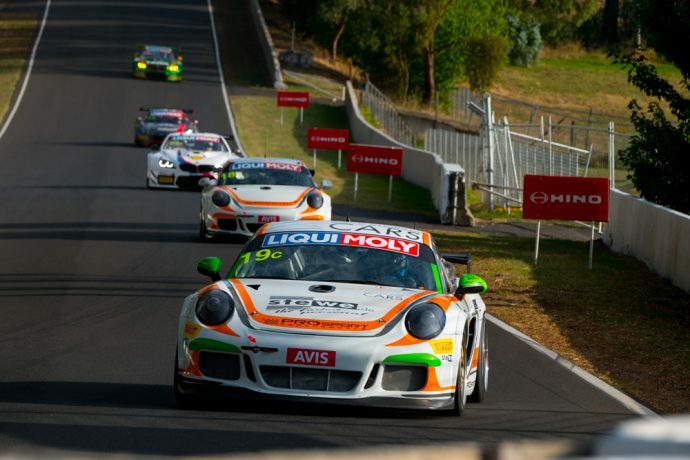 While it’s only five cars strong, the Porsche Cup division of the Bathurst 12 Hour should prove to still be a fun watch. The teams racing are Grove Motorsport, JFC, Team Carrera Cup Asia, On Track Motorsport and Wall Racing. Within those, there’s some familiar names to DSC readers. Grove, which may be the favourite pre-race, brings Stephen and Brenton Grove, and WEC driver Ben Barker (again) for its attack. The team know the car, and the circuit well. Last year it retired early too, so will be eager to have a better run this time. And at Wall Racing, the trio of Charlies Putman, Charles Espenlaub and Joey Foster unite. As a three they’ve competed together at Bathurst, Daytona, Dubai, the Gulf 12 Hours and in Blancpain, and are accustomed to good finishes. Elsewhere, the Carerra Cup Asia squad will also be worth tracking, and certainly in the mix for class victory. The champion of the 2017 Asian series Chris van der Drift will be joined by the top Porsche China junior drivers Paul Tresidder and Andrew Tang and the series’ Pro-Am winner Chen Yi-Fan. 10 cars strong, Class C for GT4 continues to grow in numbers and quality year on year. Last year’s winner is back, PROsport Performance, this time with a tweaked line-up and a single Porsche Cayman PRO4. Last year’s victors Max Baams and Jörg Viebahn return, and will race with Marco Schelp this time round. 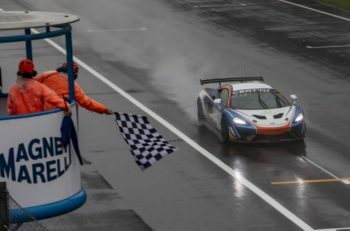 To successfully defend its title, PROsport will have to fight off runners from BMW (bringing the new M4 GT4), KTM, and Ginetta. 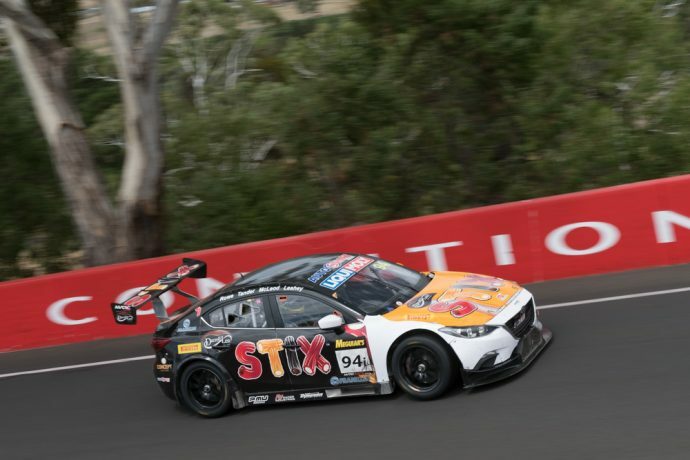 Of the BMW runners, debuting the M4 GT4 over in Australia, BMW Team SRM’s example (which is factory supported) looks to be the strongest on paper, with Dean Grant, Xavier West and Cameron Hill making up its line-up. However, the other M4 GT4 teams in the running, MarcGT, Baigent Motorsport and Boat Works Racing will also be eager to show off their new bits of kit. The key drivers among those are Kuno Wittmer racing with MarcGT, Matt Brabham (the third generation driver in his family set to take on the Mountain after grandfather Jack and father Geoff) and Aaron Seton who won the class in 2016, both driving with Boat Works. M-Motorsport brings the KTM X-Bow GT4s to the party, all six of its drivers Australian. Leading the #48 Interlloy entry will be Justin McMillan, joined by Radical Australia front-runner David Crampton, multiple Australian Driver’s Champion Tim Macrow, and Reiter Engineering regular and former Reiter Young Stars champion, Caitlin Wood. In the #48 meanwhile, the multiple Australian GT race winner Glen Wood will drive qwith Tent Harrison and Cody Hill. 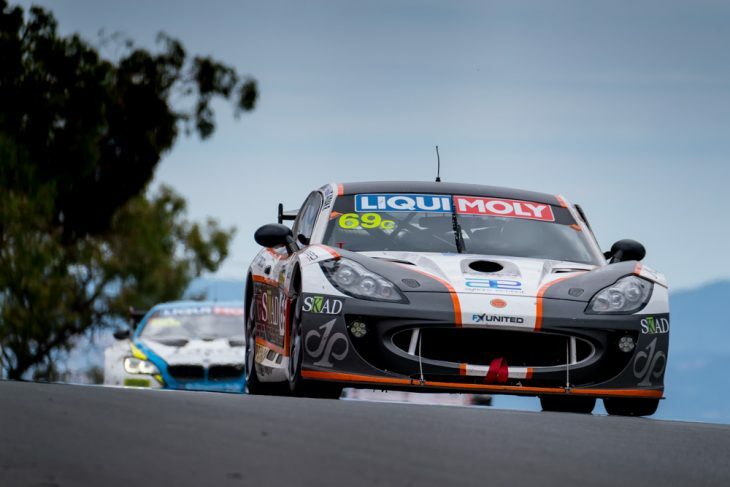 The remaining trio of cars in the class are Ginetta G55 GT4s, which are both fast and reliable and entered by Ginetta Australia which at the time of writing has yet to confirm its full driver line-ups. So far only Coleby Cowham, Lindsay Keams and Jaie Robson are signed up. Class I, where classic Daytona Sportscars go up against MARC Cars machines is back for another year, and packed with interest across its nine cars. This year Daytona Sportscars brings a pair, a single Coupe and Viper, the later let’s not forget is both superb to look at and quick, finishing fifth in class last year. Both will be fan favourites, and bring, as always, added spice to an already stellar entry. The rest of the runners in the class are MARC Cars, a mixture of Mazda V8s, Ford V8s and brand new MARC II (Mustang) V8s. MARC Cars Australia has signed some of Australia’s brightest young stars for its campaign. 2017 Supercars Mike Kable Award recipient Will Brown will rejoin fellow 2017 class I winners Keith Kassulke and Rod Salmon in the #91 MARC II V8 – one of the outfits new generation cars. Toowoomba driver Brown is fresh from his debut season in the Dunlop Super 2 series, where he impressed with his performances this season. The trio will aim to defend their class victory achieved in the 2017 running, where they also finished 17th overall. The victory last year was Salmon’s third at Bathurst, joining his two outright victories achieved driving for the Ralliart Mitsubishi squad in 2008 and 2009. 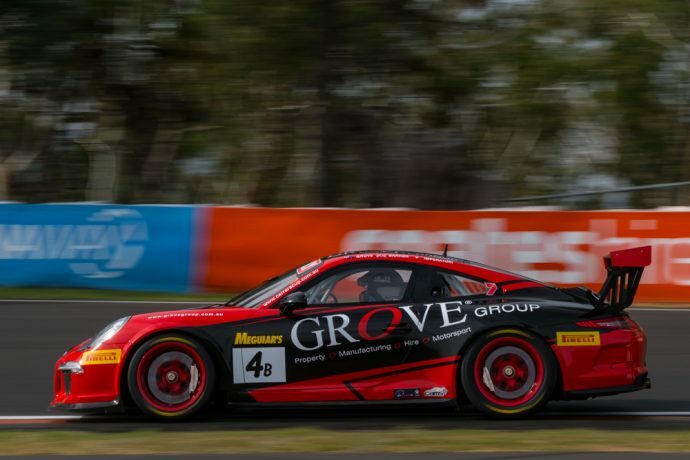 Tony Alford, Kyle Alford and Chad Parrish will share the #54 Donut King MARC Cars Australia entry, with Alford a three-time winner of Class C (GT4) with victories in 2012, 2014 and 2015 – and second in 2013. Morgan Haber will re-join MARC Cars after a strong first season racing Super Trofeo cars in Europe and will join Jake Camilleri and Young Australian karter Aaron Cameron another of the new generation V8 machines. Meanwhile Gold Coast teenager Zane Goddard, a British F4 regular, will debut for the team next February alongside Rob Thomson and Drew Ridge in the #93 Mazda. MARC Cars Australia team owner Ryan McLeod said the additions of Brown, Goddard and Rowe – alongside the already-announced Tyler Everingham – showed the capabilities of the local open-wheel scene. Former British Touring Car Championship Independents Cup champion James Kaye will join Tyler Everingham in a car, with 2017 CAMS Australian Formula 4 champion Nick Rowe the confirmed third driver. In the Eastgate Engineering-run Focus V8 Geoff Taunton will be joined by regular teammate Jason Busk and Bryce Fullwood.